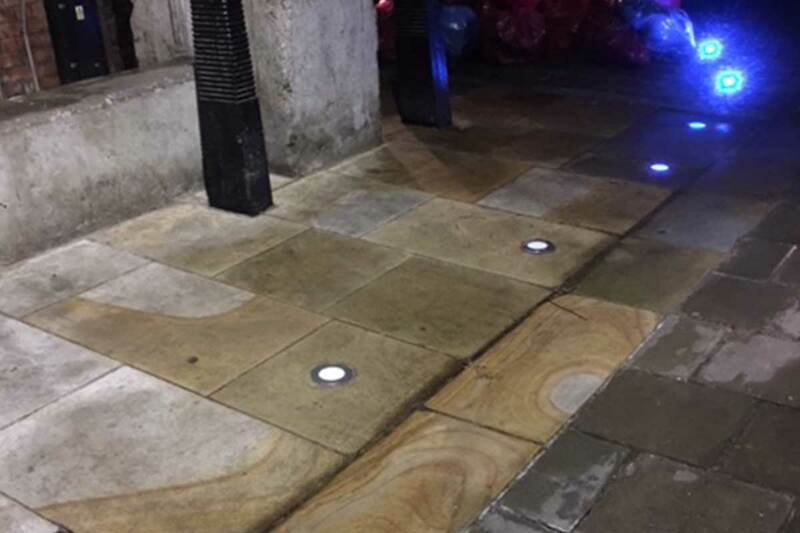 Surface Solve Ltd, the specialist deep cleaning services division of the Go-Gum Group, have been working with The City of London to clean and protect two further locations within the historic city mile. 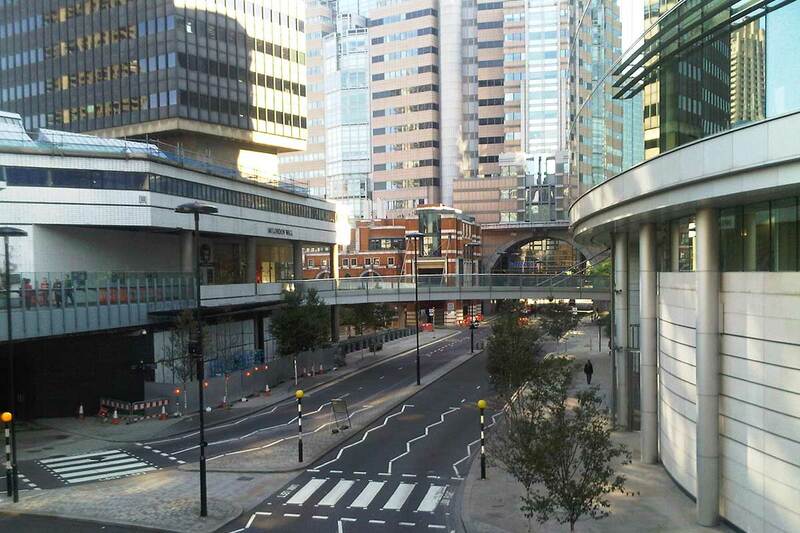 At London Wall, our specialist team undertook a post construction deep clean on a brand new 1380m² paving scheme near the site of the defensive wall first built by the Romans around ‘Londinium’. Part of the route originally taken by the northern section of the original London Wall is commemorated by the road also named London Wall, on which the Museum of London is now located. Once the chewing gum removal and deep clean of the paving was complete, two coats of Pave-Saver paving protector was applied to the clean paving slabs. Our specialist deep cleaning services team worked exclusively at the weekend to minimise disruption to pedestrians, commuters and local businesses. 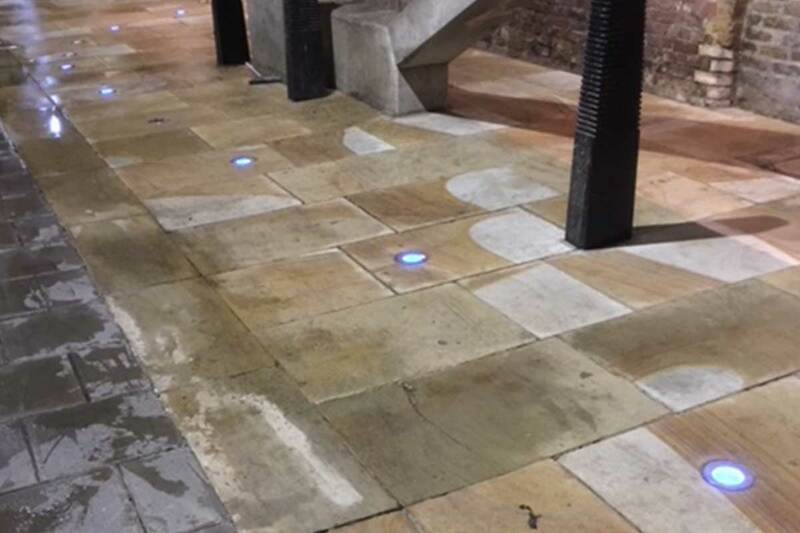 Three expert operatives, using two dedicated chewing gum removal machines worked one area at a time, with the third team member following on applying the Pave-Saver anti-chewing gum paving impregnator. 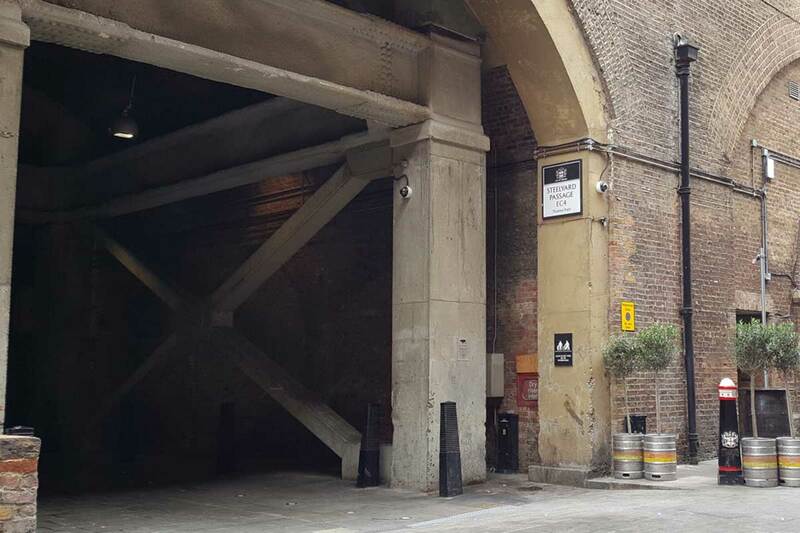 The Steelyard Passage underpass beneath Cannon Street Station, links All Hallows Lane and Cousin Lane in the City of London. 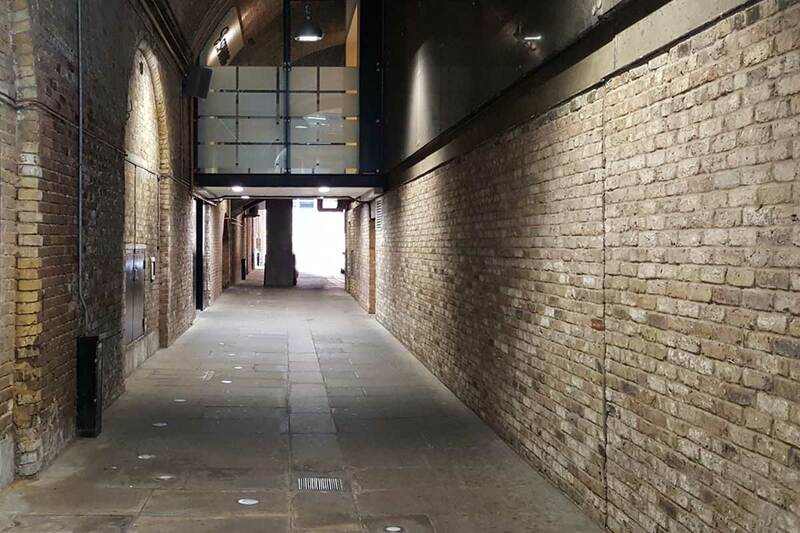 The Victorian brick arched passage is lit by a river of azure blue floor lights, echoing the path of the nearby River Thames and is a busy shortcut for local residents and commuters alike. Surface Solve were tasked with a deep clean of the paving slabs including chewing gum removal work. As the underpass is not exposed to rain or direct sunlight, the ingrained stains and pollutants proved particularly stubborn during the deep clean phase of the project. Nevertheless, our deep cleaning services team undertook this difficult work at night so as to minimise disruption to pedestrians. Two Surface Solve operatives worked with one of our high temperature, low pressure cleaning machines, giving the whole area a long overdue deep clean with spectacular results.